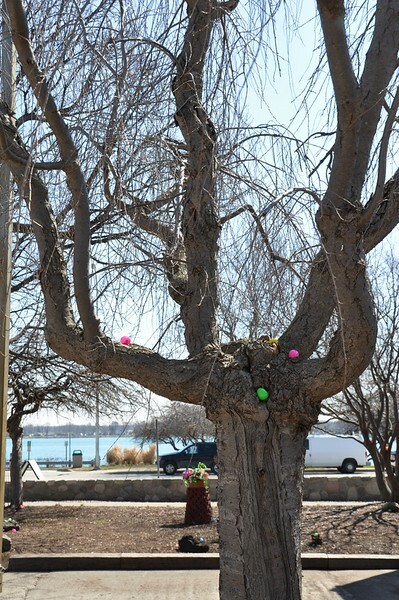 Now, that was a "hunt" for Easter Eggs in the St. Clair Plaza. I'm not sure who was more excited - the children or the adults... The kids ran like holly heck everywhere to find as many eggs as they could filling up their bags as full as they could get them. Then, the adults because they could read - that was the excuse - opened the eggs to see what surprise was in each one of them. Some had candy and others had slips of paper to go for your "prize" at a merchants in the Plaza Store. It was a riot and lost of fun!!!! Enjoy.